Pruritus in dogs is simply the sensation of itchiness that makes a dog want to scratch, chew, lick, or rub its hair and skin. It is common in skin disorders, parasitic infections, skin allergies, tick and flea infestations, and several other conditions. 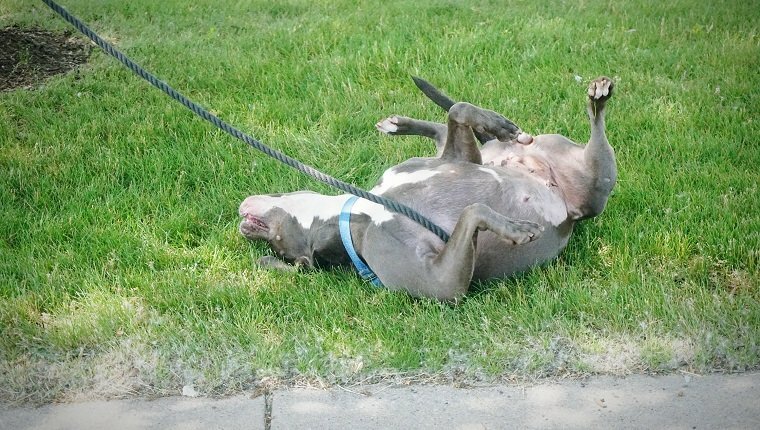 Even scratching at an itch, itself, can contribute to inflammation and pruritus in dogs. 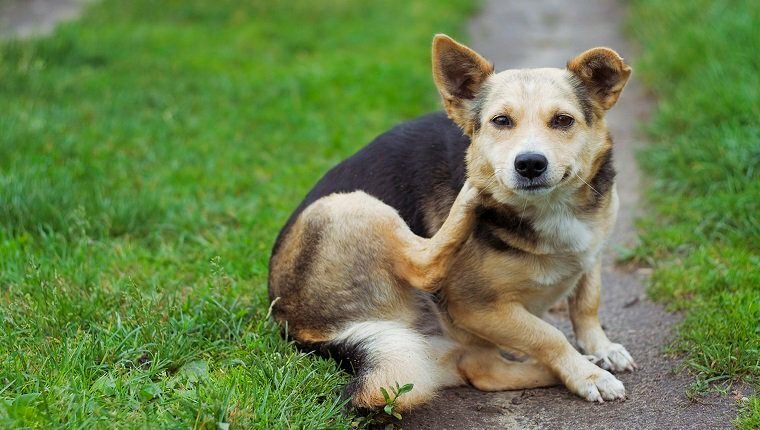 Itching can be mild and have little effect on dogs’ health, or it can be severe, and scratching and chewing can lead to hair loss, injuries, and pain. If your dog is showing signs of pruritus and persistently trying to relieve itchiness, consult your veterinarian so they can determine the cause and prescribe treatment. Here is what you should know about the symptoms, causes, and treatments for pruritus in dogs. Pruritus is a common symptom of several skin conditions in dogs. Most dogs have minor itches that are relieved by scratching or chewing, so long as the irritant is removed. If the source of irritation or inflammation remains, it is likely that some or all of the following symptoms of pruritus will appear. Skin disease is one of the most common causes of pruritus in dogs, but there are several other conditions that can lead to persistent itchiness. A veterinarian can run tests and examine the sites that are most affected on the skin to determine the cause. Here are several possible causes of pruritus in dogs. Treatment for pruritus in dogs depends on the cause, but the main goals are to reduce itching and remove the source of irritation and inflammation from the skin. Some dogs are put in an Elizabethan collar to prevent them from chewing or scratching at the site of itchiness until the area heals. Antihistamines are often effective in treating seasonal allergies and some forms of contact dermatitis. Dry skin may be treated with fatty acid supplements. If the cause of the itchiness is a food allergy, a different diet may be prescribed. 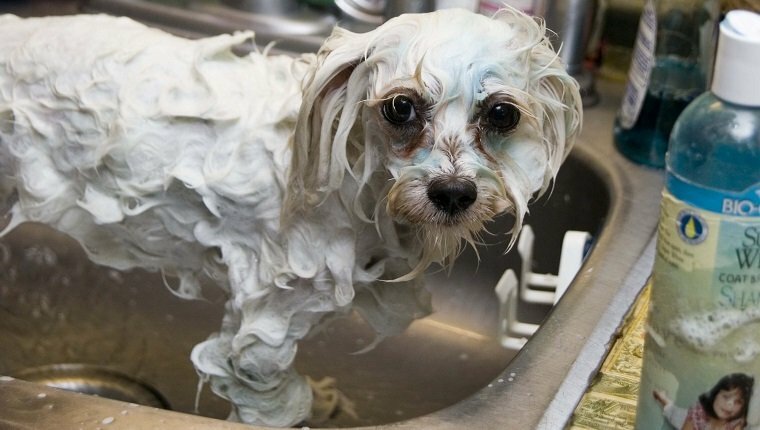 Flea infestations can be resolved with medications and special shampoos, along with preventative medication that is administered monthly or at various times throughout the year. Many dog owners opt for natural flea treatments to avoid side effects of such medications. Tick infestations may also be prevented with medication or by natural means. Bacterial infections are usually treated with antibiotics, and immune disorders may be treated with a combination of immunosuppressant drugs and other forms of therapy. If you see the signs of pruritus in your dog, your veterinarian will be able to advise you on the proper treatment to relieve the symptoms. Has your dog ever shown signs of pruritus? What was the cause, and how was it treated? Let us know in the comments below!